The second hurricane of the season is running parallel to the US East coast and is currently around 200 miles east of North Carolina. According to AccuWeather.com Chris, which had been nearly stationary since this past weekend, is forecast to pick up forward speed to the northeast this week. 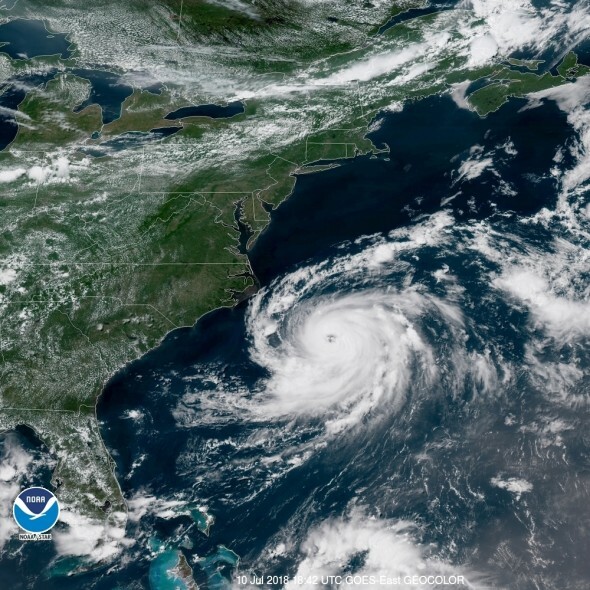 The hurricane will continue to stir rough seas and rip currents along the coast of the Carolinas and at the mid-Atlantic beaches through the middle of the week.